According to ayurvedic philosophy an individual bundle of `spirit’, desirious of expressing itself, uses subjective consciousness or Satwa to manifest sense organs and a mind. Spirit and mind then project themselves into a physical body, created from the five (Pancha) great (maha) eternal elements (bhutas) – together called the Panchamahabhutas – which arise from Tamas. The sense organs then using Rajas to project from the body into the external world to experience their objects. The body becoming the mind’s vehicle, its physical instrument for sense gratification. The Bhutas combine into “tridoshas” or bioenergetic forces that govern and determine our health or physical condition. 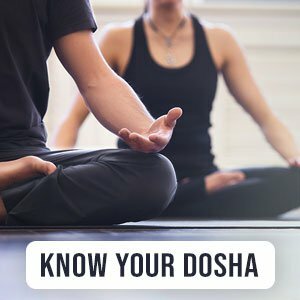 While the three gunas(Rajas or activity, Tamas or inertia and Satwa, which balances the first two) or psychic forces determine our mental and spiritual health.Ayurveda is thus a holistic system of health care that teaches us to balance these energies in order to achieve optimum health and well being.